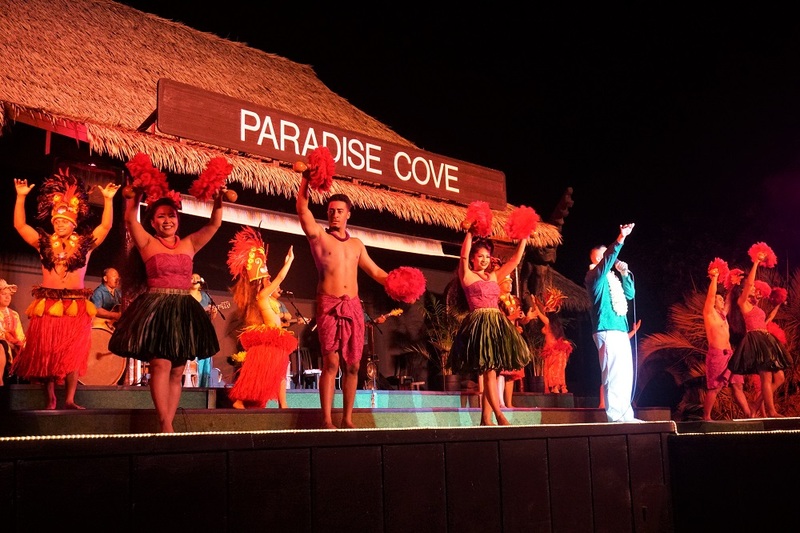 Lights, Camera and lots of Kalua Pork…head to Paradise Cove and let the luau begin! 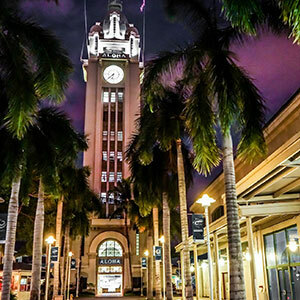 While a few institutions feature a luau on site only once in a while, this Oahu attraction puts on a full production each night. 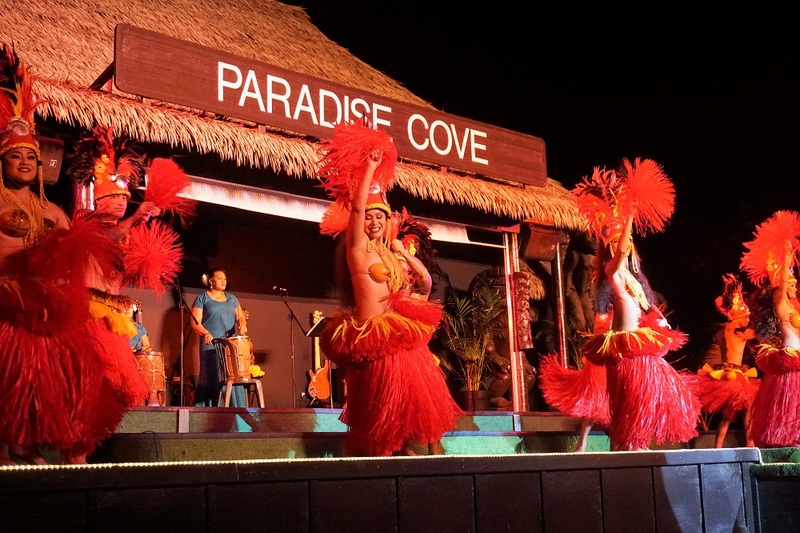 With hula performances, beach activates, fun games, and a Hawaiian feast like no other, it’s going to be a memorable night! 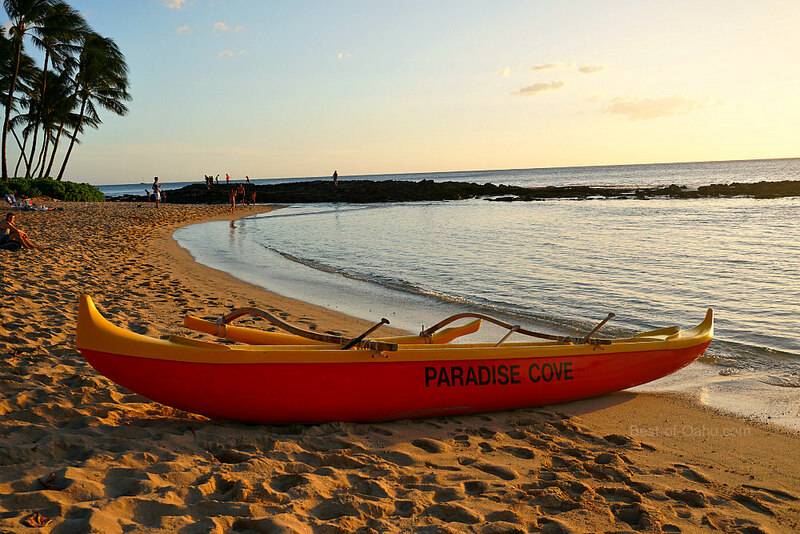 Paradise Cove sits on 12 acres of beach front property in Ko’olina with their own semi-private beach lagoon. 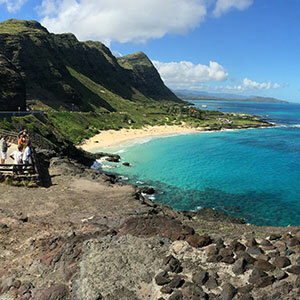 All Oahu beaches remain free in Hawaii, but this one is not easy to get to. 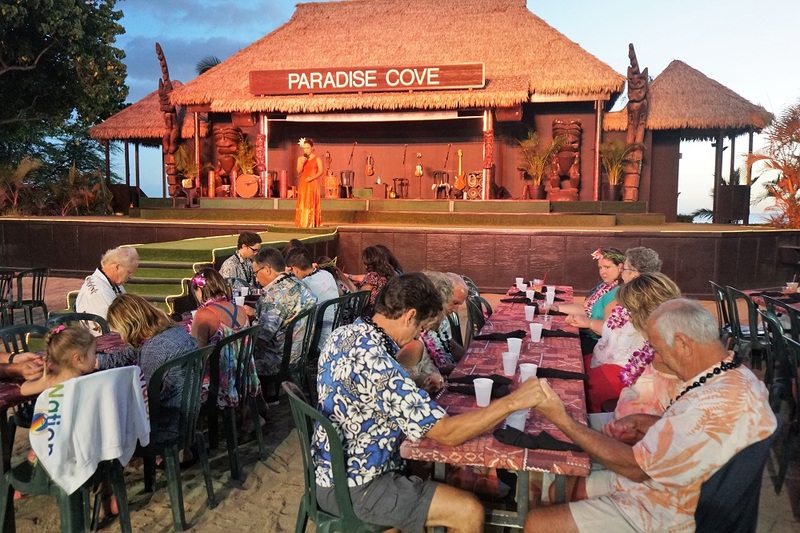 And while you might know that a luau typically features an entertaining hula show and large Hawaiian banquet spread, it’s many other activities that help make it a grand experience. 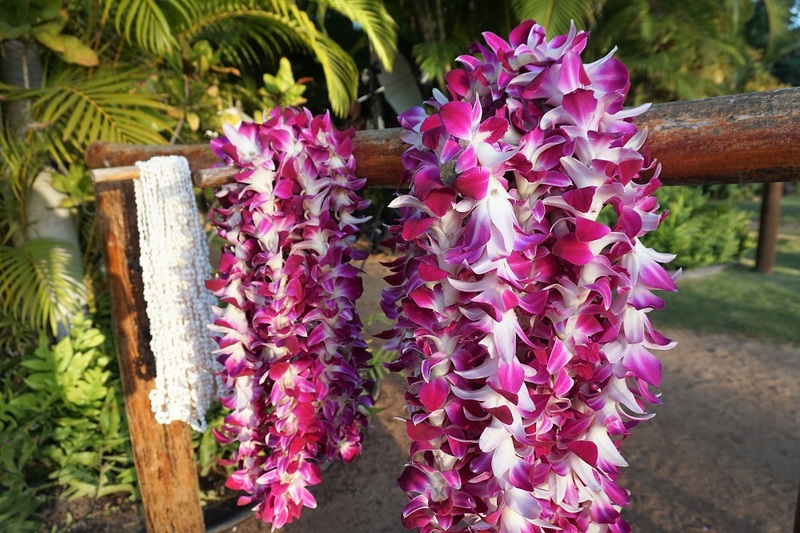 Enter through the beautiful botanical gardens and you’ll be presented with a purple orchid lei or white stranded puka shell necklace. 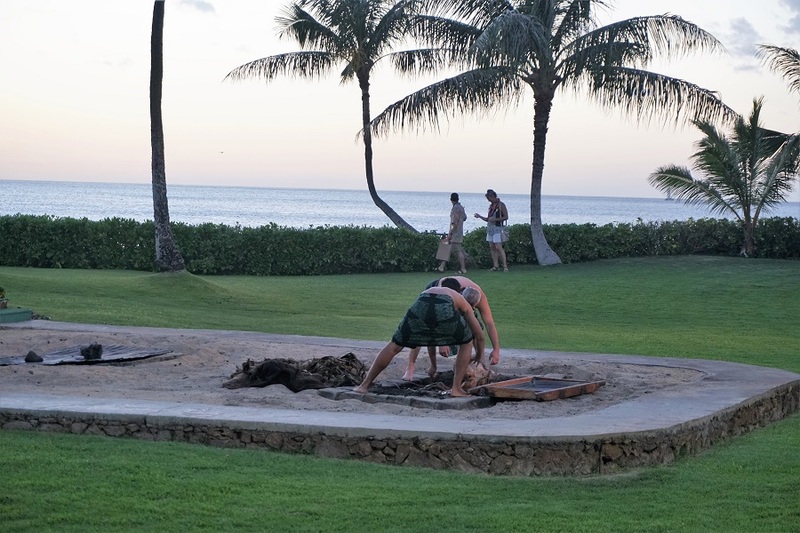 Proceed towards the lagoon beach were you’ll find a few ongoing activities. Reserve your tickets early as this event can sell out. Test your throwing spear abilities! 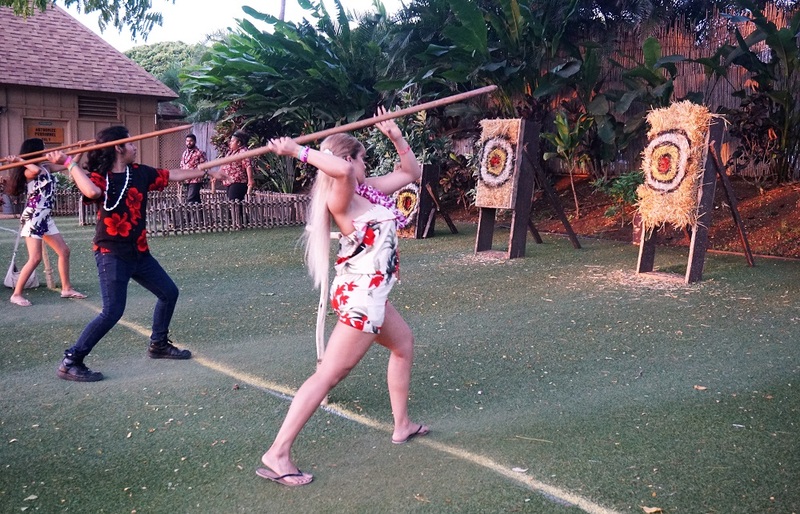 Who doesn’t want an opportunity to throw a 5 foot spear! The question then becomes is it as easy as it seems? You’ll get that opportunity as you line up with others in a friendly contest to see who gets closest to the bullseye. At the very least you’ll have fun trying! 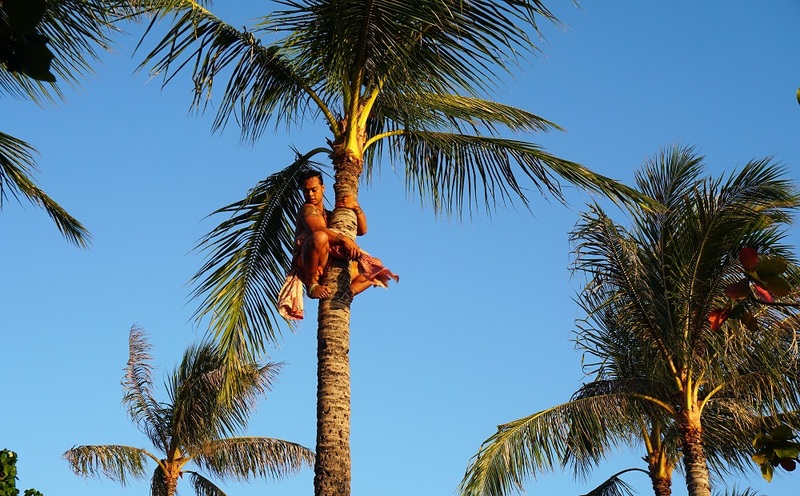 Look up if you see folks gathering around one of the surrounding coconut trees, and you’ll most likely see a demonstration how coconuts are harvested. Warning, do not try this back at your hotel…or anywhere for that matter. 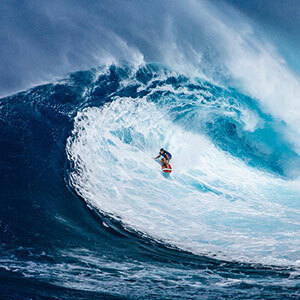 Don’t forget your camera as there are some many great photo opts to be taken. 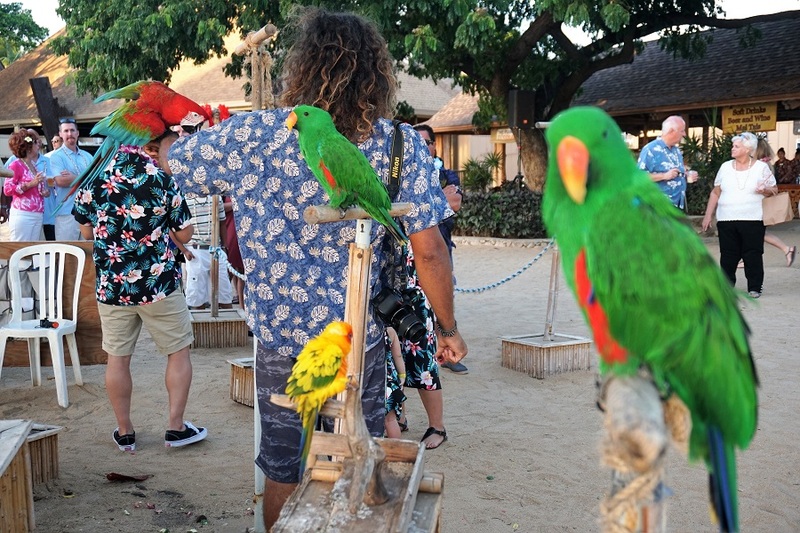 There’s even some friendly tropical birds that would love to join your family photo. 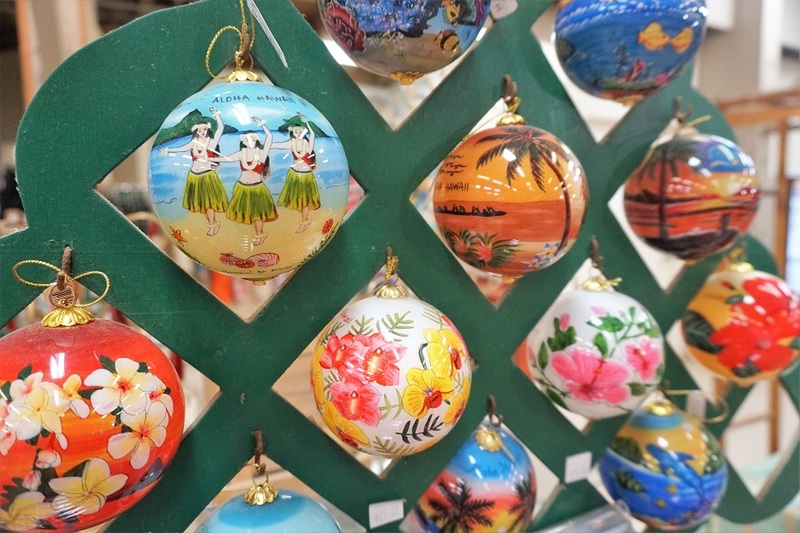 Shoppers beware as there are many temping souvenir in your path with a few kiosks and gift shop featuring Hawaiian made jewelry, neat shell necklaces, keychains, and other special tokens for memories and gifts. There is an art to casting the net into the sea… Don’t miss a select few that will be chosen to help pull in the traditional fishnet called a Hukilau. And trust me, this is more entertaining than a few grown men pulling in dinner for the night! 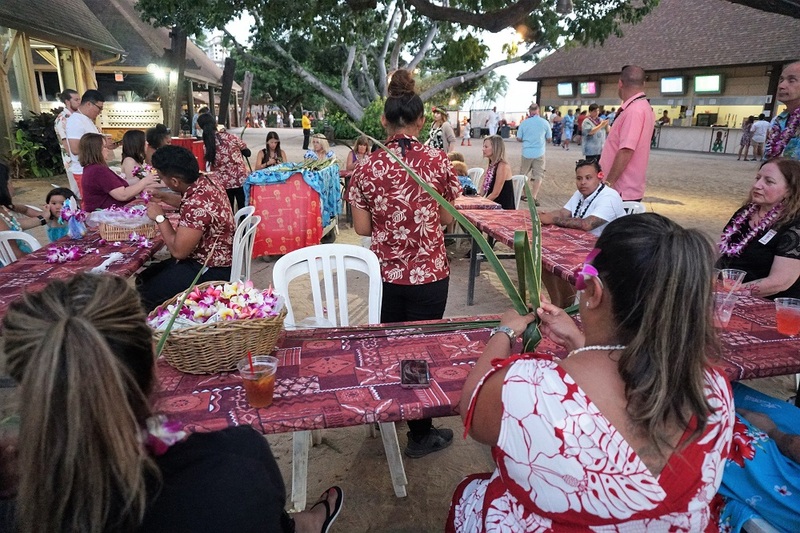 Another not-to-be-missed tradition that takes place in a luau is the Kalua Pig Imu Ceremony. 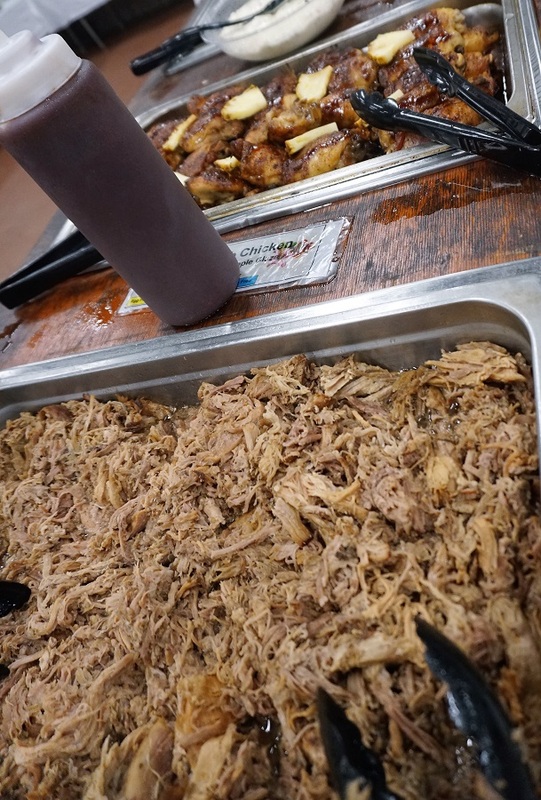 Preparations starts long before the Kalua Pork makes it to your table. In fact it starts the night before with prepping the pork by wrapping it up with burning lava rocks, and burring it in the ground with many protected lairs so nothing contaminates the meat or let smoke and heat escape the imu oven. The magic is revealed through a ceremony and unearthing the layers of the imu to discover the the gift of smoked Kalua Pork. 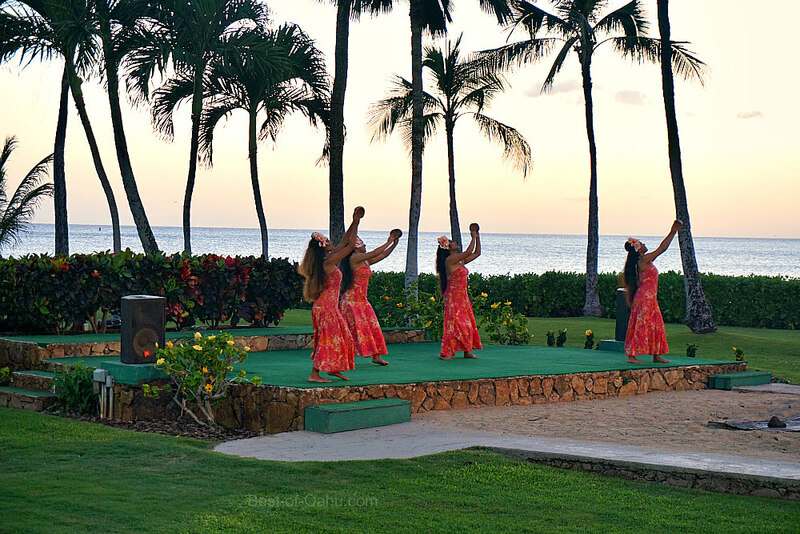 Along with a blessing and a traditional hula performance into the sunset, it’s a special moment before night entertainment begins. 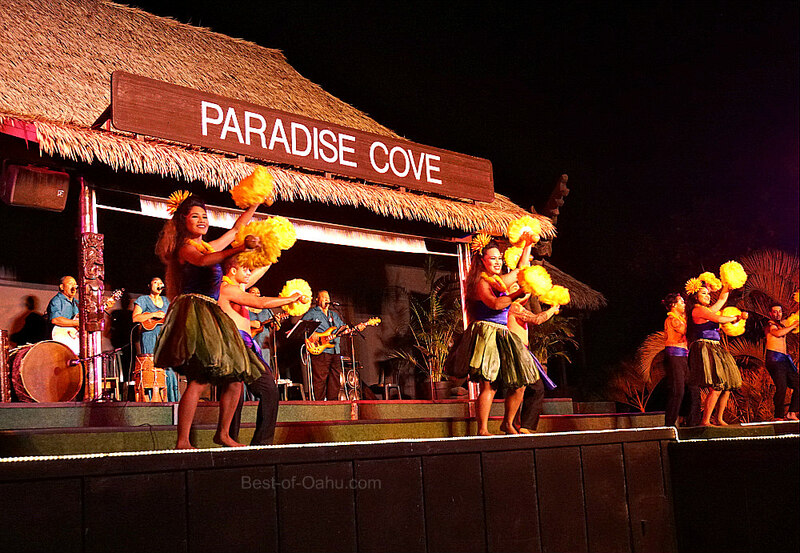 When the sun finally sets, the luau feast begins. A special prayer is giving to bless the food and the friends who’ve come to join it. 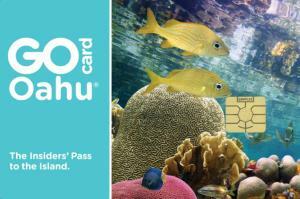 Bring your appetite as it will look like a Hawaiian style Thanksgiving feast! Endless piles of Kalua Pork, Pineapple Teriyaki Chicken, Lemon Local Fish, Lomi Lomi Salmon, a Slice of Taro and lots of tempting sides to make a colorful plate. 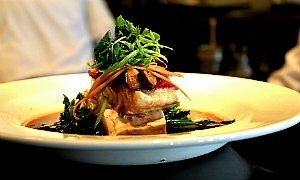 Dig into the feast and turn your attention to the stage and let the main show begin. You’re in for a grand show of many entertaining performances. 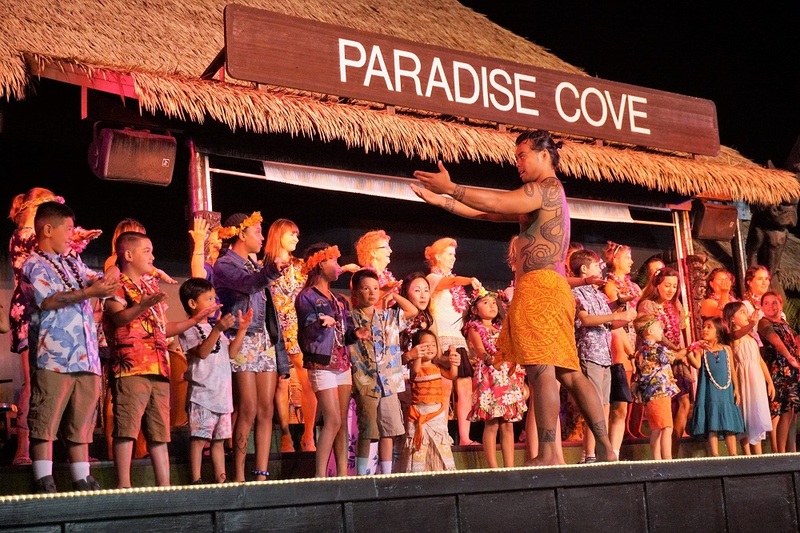 I promise you the keikis (kids) will steal the show when they are asked up on stage to perform for the audience. 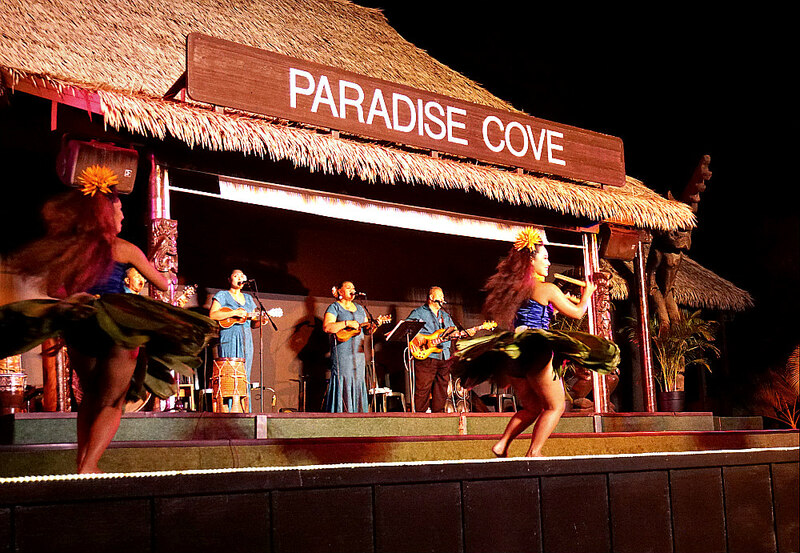 The hula performances are not only colorful with the traditional costumes worn, but also through the different display of instruments and styles of performances given. When the sky is finally dark, the dramatic fire dances begin. You’ll find yourself on the edge of your seat with talented young men twirling sticks of fire into the air, and flames braising their skin. Drive past the security gate, and turn left at the stop sign. 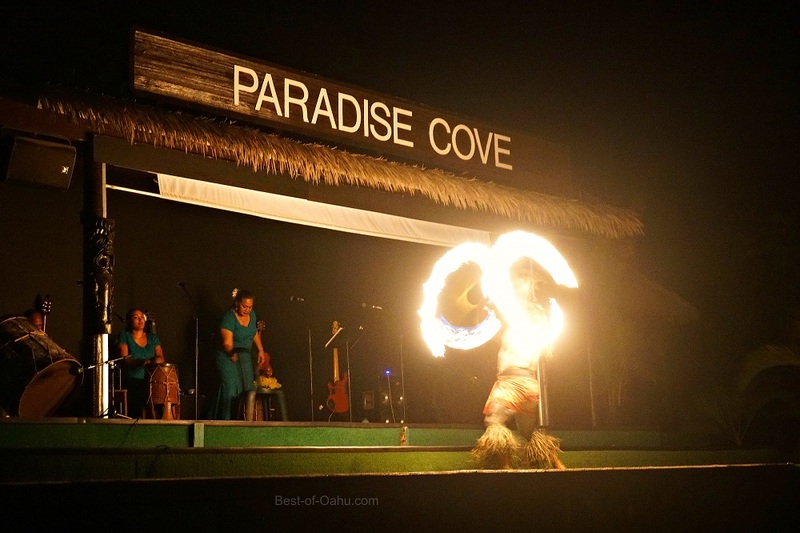 You will see the Paradise Cove parking lot located on the left side. 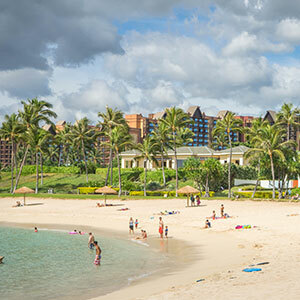 Ko’olina is a newest developed resort area on Oahu. 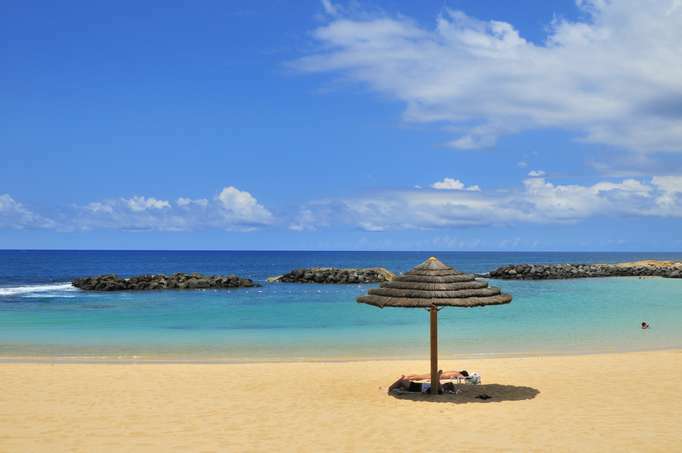 The surrounding area features 4 beautiful half crescent beach lagoons and just a few resorts that neighbor them. 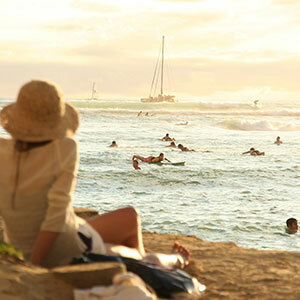 Ko’olina is not only home to Paradise Cove Luau, but one of the best golf courses, and popular restaurants. 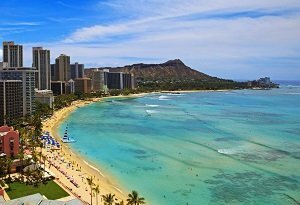 I would recommend arriving early and spending time at one of the beach lagoons before hopping next door for your luau.